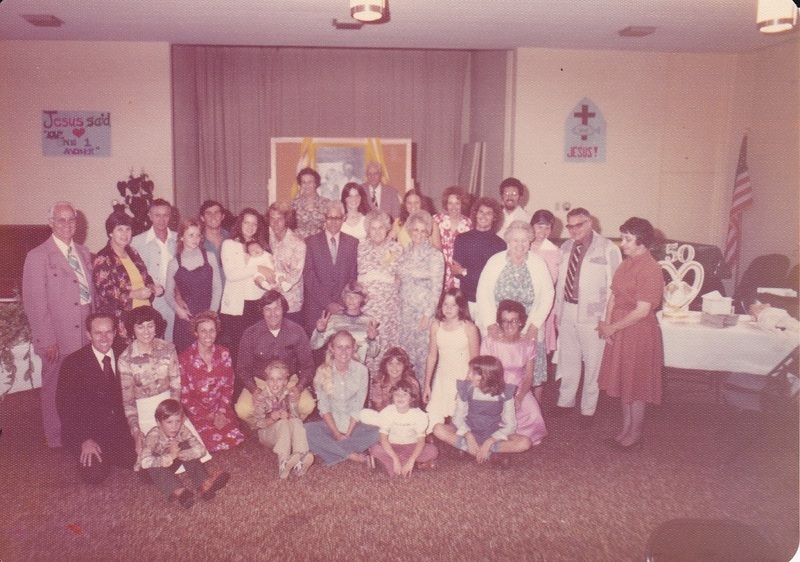 Mom and Dad's 50th Wedding Anniversary Celebration was held on September 25, 1976 at the East Clairemont Baptist Church in the City of San Diego, CA. It was a fun time for all, having all the Robershaw Family and Friends for the special event. 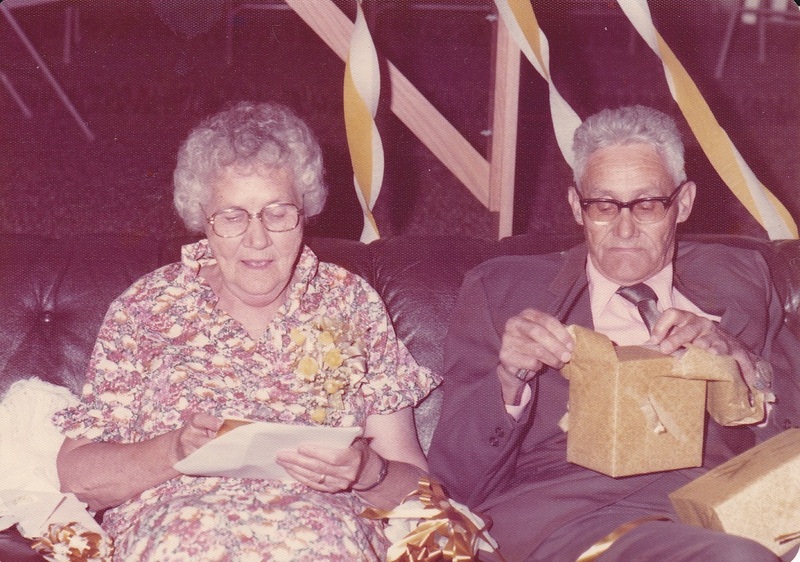 The picture above of Mom and Dad opening presents, the picture on the right is cousin Harold on the left of Dad and his wife Rosemary next to Mom. In the center a special picture of Family and Friends that attended!! 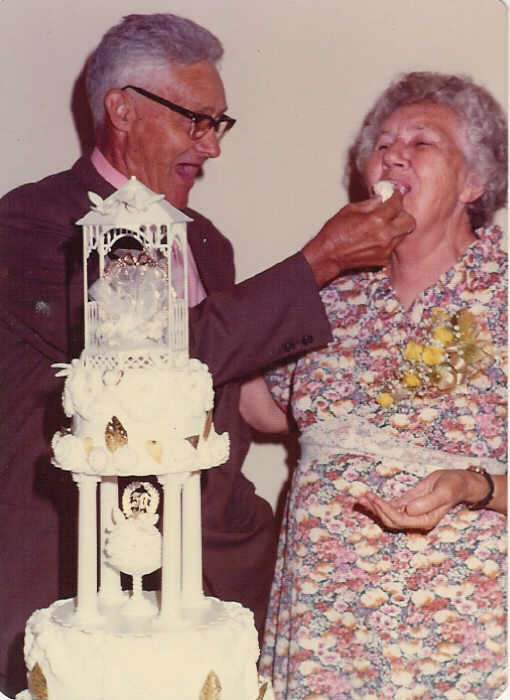 I'm sure this was a fun and memorable time for Dad, feeding Mom a piece of cake!! 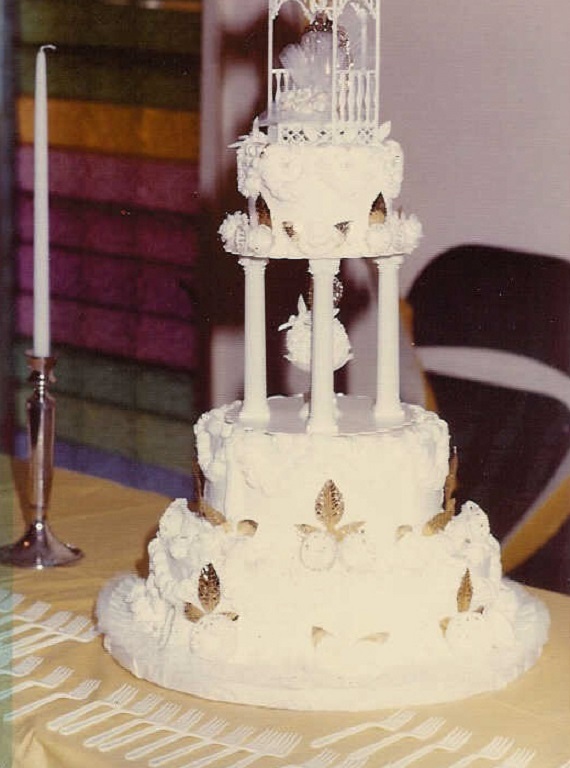 The collage on the left was one of the gifts to Mom and Dad at the Party. 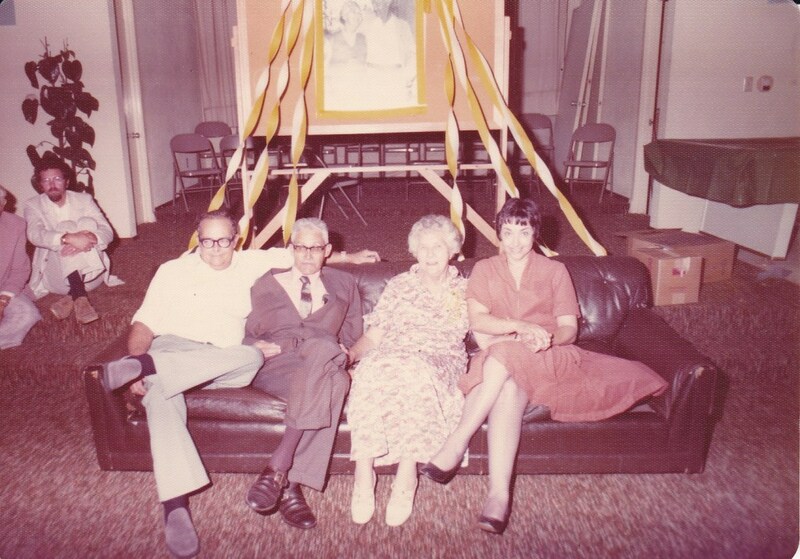 The Family each gave pictures to the project, including grand children. 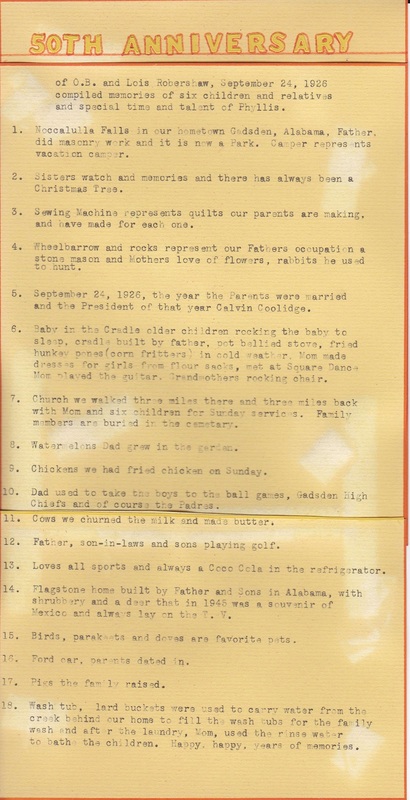 brother Reginald and his wife Phyliss had the pictures put together. The picture on the right is a close up shot!! Above in the center are the other two items given to Mom and Dad. 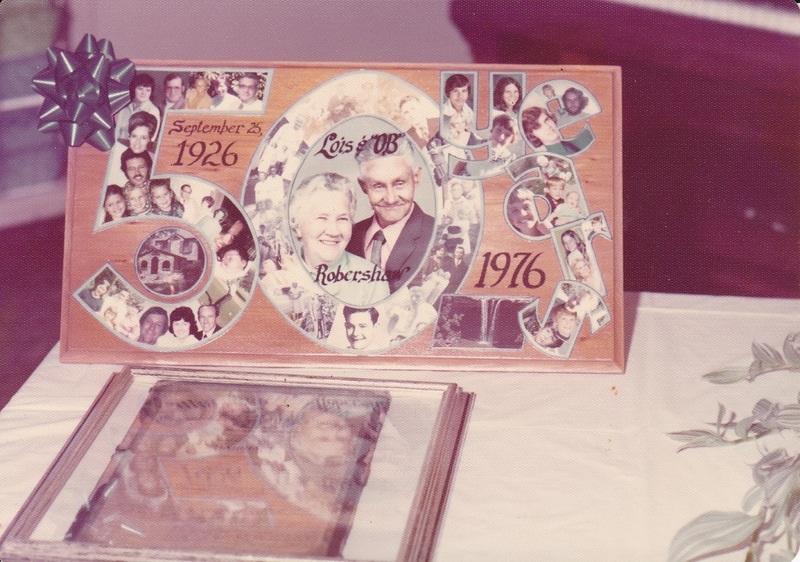 The Picture Box on the left was put together by Reginald's wife Phyliss, I would also guess sister Le Merle was likely involved getting the info etc. from Mom and Dad!! On the right is the details of what represented a time frame in their lives!! Each box is numbered with a description. Click Here for re-printed copy! !